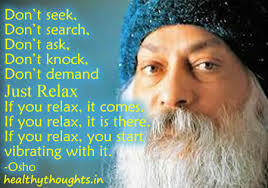 Hi Friends, Please read the inspirational thoughts from Swami Osho. 8. It is simply sitting silently, witnessing the thoughts, passing before you, just witnessing, not interfering not even judging, because the moment you judge you have lost the pure witness. The moment you say “this is good, this is bad,”you have already jumped onto the thought processes. 9. It takes a little time to create a gap between the witness and the mind. 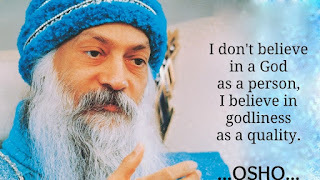 Once the gap is there, you are in for a great surprise, that you are not the mind, that you are the witness, a watcher. 10. And this process of watching is the very alchemy of real religion. Because as you become more and more deeply rooted in witnessing, thoughts start disappearing . You are , but the mind is utterly empty. 11. That’s the moment of enlightenment. That is the moment that you become for the first time an unconditioned, sane, really free human being.